My First 30 Days on Zero Carb by Kristie Sullivan | Eat Meat. Drink Water. Kristie today on her Zero Carb path to Well-being. In June 2013, I was absolutely desperate to lose weight. I decided that it was the one thing I had battled and never conquered my entire life and that I would do it or die trying. A friend in whom I had confided – after the calories in/calories out (CICO) method had failed me – suggested I read Gary Taubes book, Why We Get Fat. Within two days, I devoured that book and began a journey to health that would lead me on remarkable paths, healing physical and psychological hurts that I didn’t yet fully understand and am still discovering. The first six or seven months of LCHF involved my following a plan of fewer than 20 grams of total carbohydrates. In addition to Taubes, I read anything and everything I could. I ordered supplements, experimented with LC flours and sweeteners and completely changed my eating and cooking habits. The first 50 lbs melted away, and I was smitten with low carb. Shortly thereafter, my weight began to stall, which is about the time I discovered a number of low carb support groups on Facebook. Kristie before and after losing a substantial amount of weight through a low carb high fat diet. I spent most of the next year reading everything I could and following every hack of nearly everyone I met. My time was dedicated to tracking macros, increasing fat, increasing protein, eliminating dairy, avoiding sweeteners, executing egg fasts, following fat fasts, restricting calories, increasing calories, fasting intermittently, and ordering more supplements all while testing blood glucose, blood ketones, urine ketones, and breath ketones. When my scales didn’t register a loss, I ordered a new scale that measured percent body fat, convinced the old one was just hopelessly broken—probably because I was weighing three or four times a day! In addition to weighing, I was taking measurements and photos to monitor progress. It took a full fourteen months to lose an additional 30 pounds, and I was still 20 or so pounds from my goal. 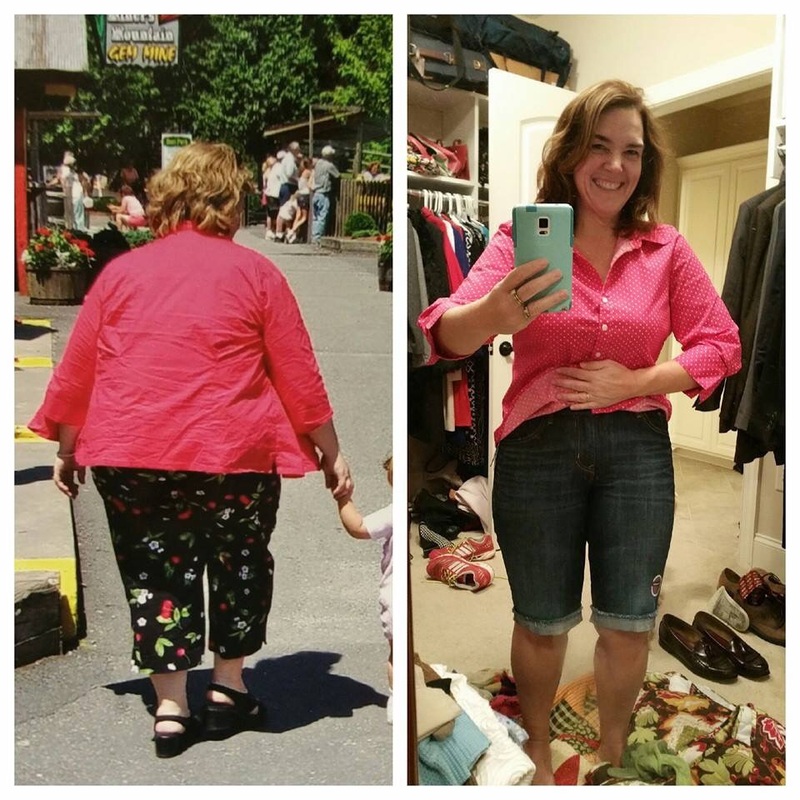 Another before and after of Kristie as she slimmed down even more through a low carb high fat diet. 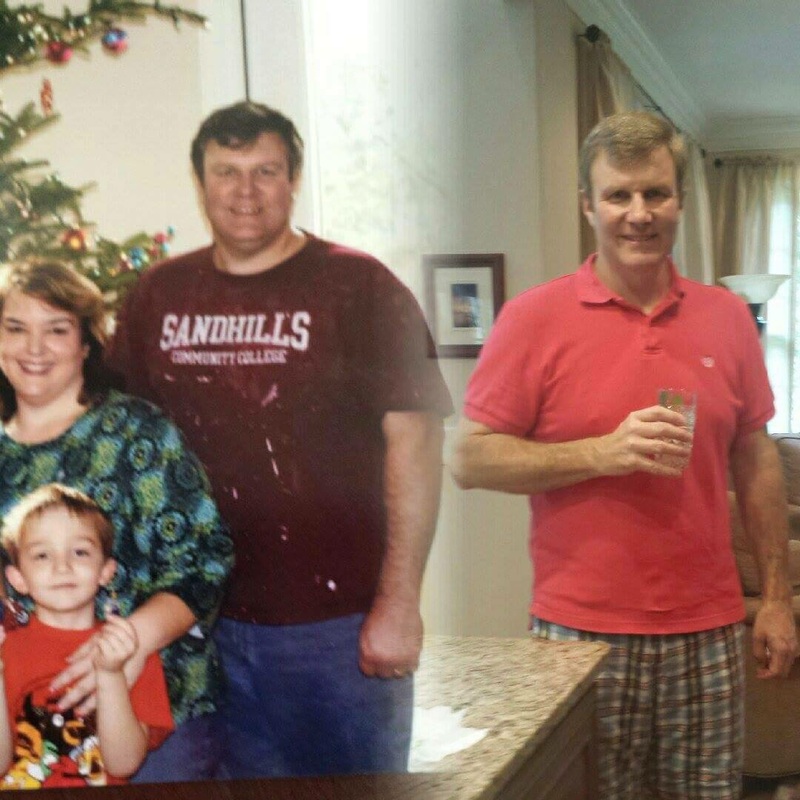 Kristie’s husband David before and after losing 60 lbs. by joining her a low carb high fat diet. 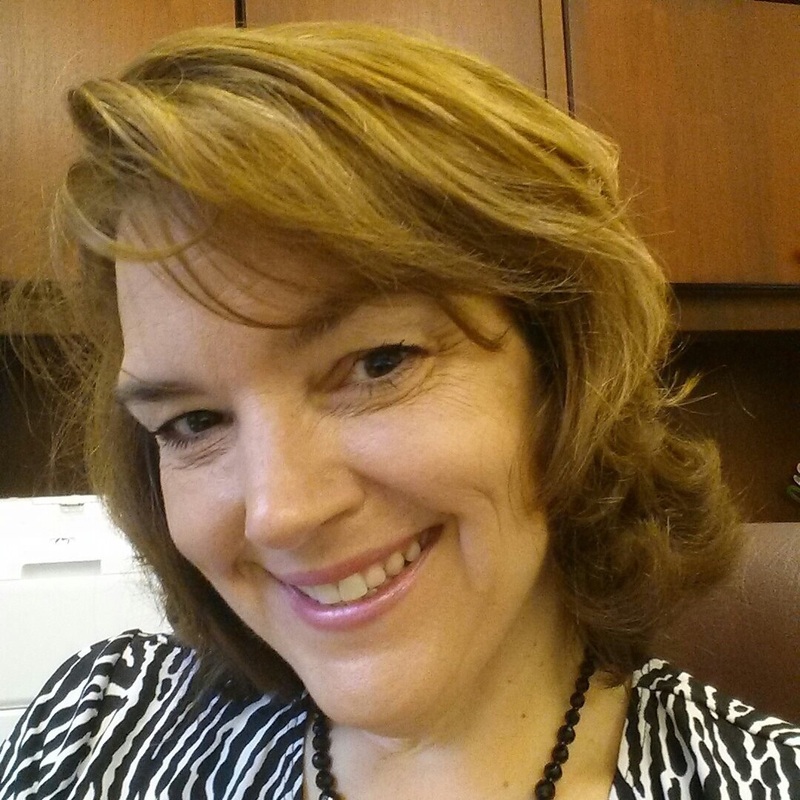 In late February, I stumbled across a blog post by Kelly Williams Hogan in one of the numerous low carb Facebook forums that I frequent. She sounded like a long lost sister as she described her weight loss struggles! 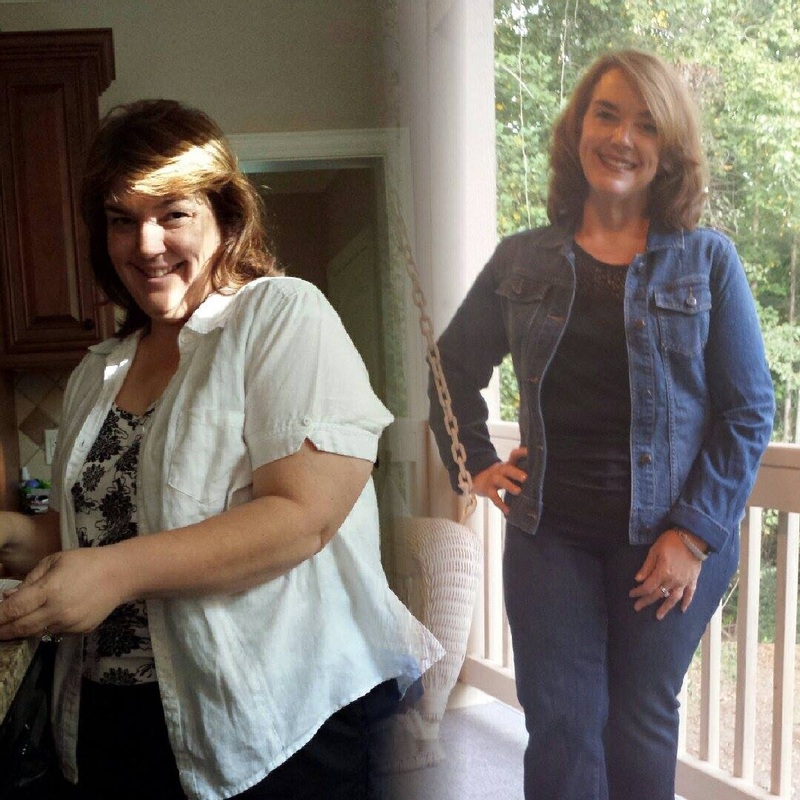 Kelly’s journey ultimately led her to eliminate all plant foods from her diet. Still, the idea of no veggies sounded extreme to me. Yes, a meat-based diet still seemed extreme to the woman who had continued to try everything to no avail. But, I was intrigued, and so I decided to try it. Within three days my energy level was up and my scales were down. Both scales! And something odd happened. Me, the queen of low carb food blogging recipes, the woman who faithfully tried two new LCHF recipes per week, who even “invented” a few baked goods, found that food was no longer fascinating. Eating ground beef at each meal—the two big meals I began to eat each day—was satiating and simple. 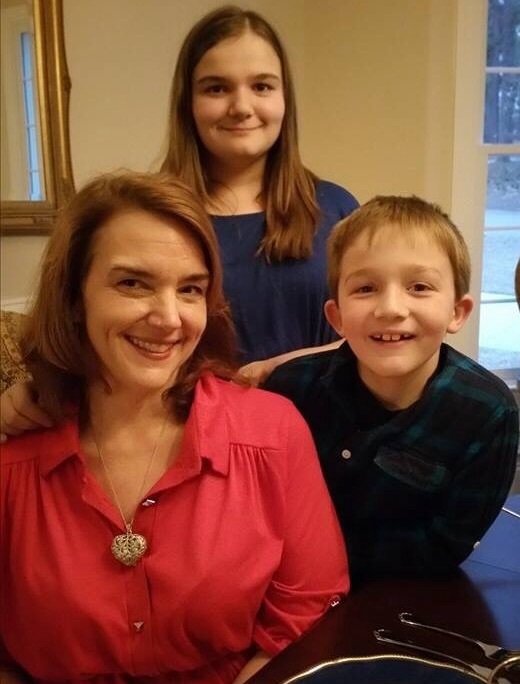 Kristie with her Daughter and Son. By week two, I loved breezing into the grocery store meat department and breezing right out. I saved time shopping, and I certainly saved time cooking. Among the changes I noticed were that I was happiest eating a big meal early in the day whenever I was hungry. Some days that means eating at a traditional breakfast hour and other days it means eating at lunch time for my first meal. Instead of eating a small meal for my first meal, I began eating like a lumberjack—two burgers, two eggs, four or five pieces of bacon and maybe a sprinkle of cheese. A meal like that leaves me satisfied for up to eight hours. For dinner, I eat a similar meal and then I don’t eat again until breakfast. At the end of week two, I also had my menstrual cycle, which didn’t bring irrational cravings or wild mood swings like it normally did. It was quite uneventful, which was remarkable. By week three my fridge had more room in it, especially when I cleaned out the veggies that were going bad because I had neglected them. When I went to Pinterest to find a recipe for a friend, I realized I had nearly 1500 followers and thousands of LCHF recipes. I began to understand that I had made this journey incredibly complex when what seemed to work for my body was meat and water. By week four, my husband decided to join me which is the ultimate high praise. 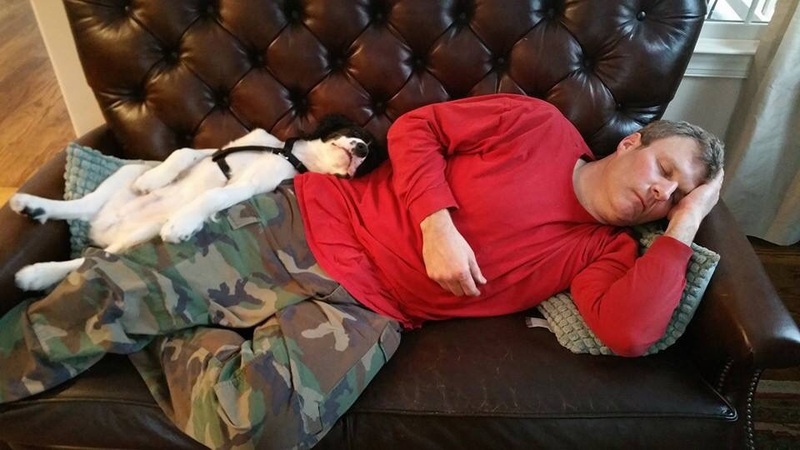 Kristie’s husband David taking a nap with the family dog. Along the way, I noticed that cravings – which had plagued me over the past three months – were minimized on zero carb. I already ate very clean, but minimizing carbohydrates to what is present in animal foods like eggs and dairy – and limiting my intake even of those – simply made me feel more satisfied, more energized, and more clear headed. After thirty days, I’m in love with my scale again. In my first 30 days of eating a meat-based diet, I’ve lost ten pounds and my goal weight finally seems attainable. Once again, I have the unspeakable thrill of stepping on the scales and seeing a new “personal best” that I’ve never in my adult life seen before looking back at me on the scales. More than that, I’ve let go of the complicated recipes, of focusing on food for entertainment, and of treating myself like a human test subject in a never ending weight loss trial. Meat, water, an occasional egg, and a little dairy are enough, more than enough to help me finish the journey to my goal weight and to complete the healing of the hurts I still seek to understand. 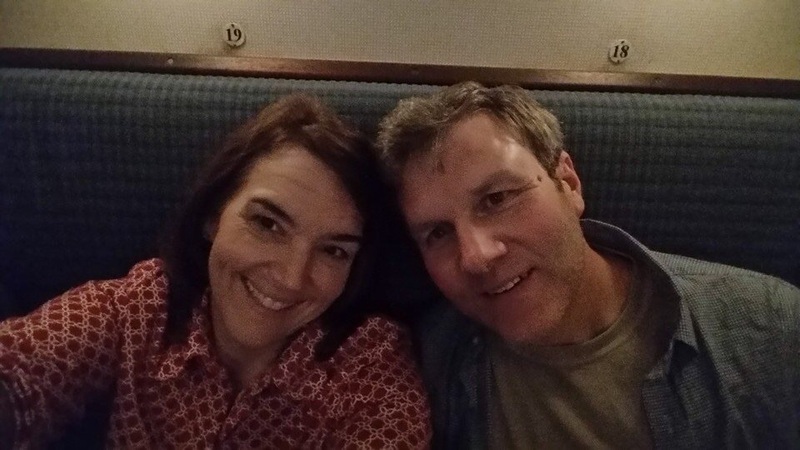 Kristie and her husband David enjoying their new Zero Carb journey together. This entry was posted in Testimonials and tagged Diet, Fat, Health, High Fat, Keto, Keto-Adapted, Ketogenic Diet, Ketosis, LCHF, Low Carb, Meat, Menstrual Irregularity, Menstrual Pain, Nutritional Ketosis, Paleo, Paleolithic, Primal, Weight Loss, Zero Carb by esmeelafleur. Bookmark the permalink. As always love your honesty! Another encouraging and inspiring story. Thank you. Thanks all! I should have spoken more about the freedom of it. With the Easter holiday coming up we have two family get togethers, and, of course, the menu is at the top of the priority list for the organizers. I’m torn because we have some Easter traditions now that I can low carb, and I intend to for my family, but I would like to focus on new traditions that don’t involve food. This is really great Kristie! I think I am heading in this direction myself but was wondering about what you do for your kids? I don’t have any kids, lol, but I do have a husband that I am trying to convince to join me. You talk about the ease of shopping now and the empty fridge…But what about your kids? You must shop got them, right? Lol! Just curious! Carol, my daughter eats mostly meat with my husband and I. My son eats other foods, and he’s the biggest challenge. Still, it’s far easier than it was previously. He tends to eat bacon and eggs for breakfast, so dinner is just about supplementing veggies for him. Sounds exactly like what I’ve been going thru Rebecca!!! My story is so similar to yours.I’m seriously thinking about doing this too.I’m just so tierd of switching macros and always trying to tweek it all the time and barely losing.Im not enjoying life line I feel I should be.always doing something to get it right.just frustrated!!! I am intrigued ~ firstly by your incredibly honest “exposure” of your life before LCHF ~ and full of admiration for your journey. I am a little overwhelmed, however! Do you not have ANY plant foods at all? Don’t you feel that a bit of variety and texture (not to mention vitamins, salts etc.) would be beneficial? I watched a video of shopping that you did ~ must have been a real wake-up call to a LOT of people ~ very curious! thanks for sharing you story it really helped me too get on board. what veggies do you eat on no carbs ? LOL Oh Kristie ,, I think we are sisters from afar,, I am in the same boat you were in before you went ZC. and that’s exactly how I have stumbled across this website was on a LC thread on FB. and now I cannot get enough of this website and have since started cutting my Carb intake . I haven’t gone totally meat and water but getting close . I had decided as of the first,, I was going as LC as possible and just this past weekend came across ZCZ,, I was worried going very LC on my own so was glad to see a whole community out there . I knew I had to cut things out that I felt had put me in this stall,, I only have less then 20pds to go,, and just need to get there for my own peace of mind . I am so tired of the stress I am putting on my self,, all though I keep telling myself,, I will get there someday., as this WOE is certainly my new WOL . But once I get the weight off I will be happy then can settle into this lifestyle comfortably . I had been LCHF since April, 30 pds down. Love the lifestyle and feel fantastic . I would love to Connect with you Via email or FB to chat a bit if you didn’t mind . LMK,, and kudos on your Lifetime Journey, Its amazing. I wish I could get my husband on board ,, I hope someday . Hi Kristie! I was following you and watching you on Youtube Videos for LCHF and stumbled upon you here on zero carb. I didn’t know there was such a diet/way of life! I have been on ZC now for a full week and have lost 9 lbs! Needless to say I am excited. I was just wondering if you are still doing ZC and an update on how your doing now? You are always so inspiring! Thanks very much for sharing. Very inspirational. Eating only meat might help me and I’ll give it a shot. You said you breezed to the meat counter and breezed out of the store when you shopped and also cleared your fridge of neglected veggies. I wish I could do that but I’m challenged with having a family to shop and cook for. What did your family eat? I saw your newest youtube video…about snacks at work. I was wondering what caused you to leave the freedom of ZC? My husband and i have been ZC for 2 1/2 mos. We are not only enjoying the taste of ribeyes and tri tips for every meal…but are enjoying many health benefits. My doctor is amazed and going ZC too! Hope you dont mind my question…but i apprediated your expressions about ZC so much! Great article, thank you so much for keto diet details & tips! Pingback: Ingin Ramping Dan Kurus? Baca Tentang Piramida Makanan Yang Sesat – Let's Have Fun! Thank you so so much Kristie! I have learned SO much from you and I truly appreciate it! Is there anyplace I can view your favorite products? I just this weekend saw you have a book out and I ordered it. I love love love your you tube cooking videos! So I’m confused now, surely too much protein turns to sugar in the liver, which for a type 2 diabetic is a disastrous matter. Any comments or advice appreciated. Type 2 diabetics may need to eat less protein, especially initially. But it’s not because it turns to sugar. There are two groups on Facebook that I highly recommend for Type 2 diabetics where you can address the admins (named below) and they will give you an accurate answer to this question. The first is Keto Saved Me (Jamie Moskowitz and Jeff Cyr) and the second is Zero Carb Doc (Dr. Paul Mabry).